BA 1992; BPhil 1994; DPhil 1997, all at Oxford. 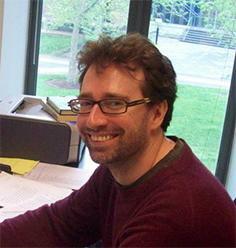 Post-doctoral Fellow of the British Academy (1997-2000); Michael Cohen Fellow and Tutor in Philosophy at Exeter College, Oxford (2001-9). He has published a monograph, "On Location: Aristotle's Concept of Place" (Oxford: Oxford University Press, 2002), and contributed to the Cambridge Companion to Galen (Cambridge: CUP, 2008). Joined the Faculty in Fall 2009.